Team Building Sandton has low physical requirements, and is fit for all ages. Team Building quotes for Sandton are all inclusive of arrival coffee, 10h00 refreshments, lunch, vegetarian meals, vegan meals, and halal meals. This is one of the most popular team building activities in Johannesburg thus far. There are three Popular Venues that are each unique in their own way. What are the Top 10 Team Building Activities in South Africa? Find out what are the Top 10 Team Building Activities in South Africa. Team Building Venues Sandton has three Primarily Popular Venues that are each unique in their own way offering ideal packages for Corporate Team Building in Sandton. The Corporate Team Building Packages has extremely low physical requirements, and is ideal for all ages in the Corporate World. Ksmart Team Building has a selection of Corporate Team Building Packages to get your team's Imagination flowing. We also do Team Building filled with fun cooking challenges. Cooking Team Building Sandton is a culinary adventure that goes beyond the realms of simply having a lunch with colleagues. The Cooking Team Building utilizes all your senses and then some: Taste, sight, smell, touch, knowledge and experience. Many bite-sized dishes are presented, embodying texture, temperature, scent, taste, tasting and visual presence. What are the Top 10 Team Building Events in South Africa we ask? Below are the Top 10 Team Building Events in South Africa, based on the Popularity, and Google Searches, and utilizing Keyword Tool. 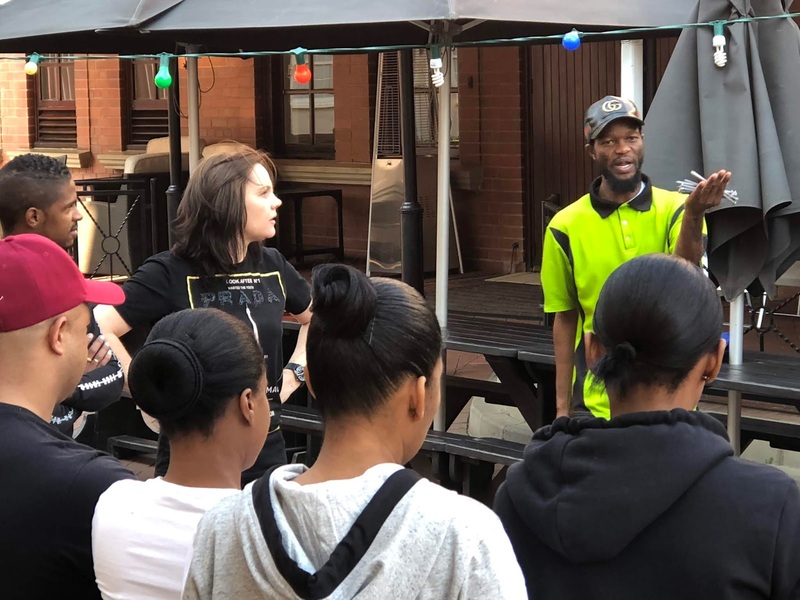 The Gold Reef City team building is inclusive of parking, entrance, arrival coffee and muffins, 11h00 foot-longs and bottled water, and a typical Tsogo Sun Buffet, including desserts. Team Building activities include access to all Thrill Rides, and the Amazing Race. Post your pics on Facebook with #loveGRC, and you can win a night for two, all expenses paid at the Theme Park Hotel. This event has a minimum requirement of ten people, is only available from Wednesdays up to Fridays. Corporate Team Building Sandton has extremely low physical requirements, and is fit for all ages. Team Building quotes for Sandton are all-inclusive of arrival coffee that is bottomless, a 11h00 refreshment break, satisfying Lunch Buffet, vegetarian meals, vegan meals, and halaal meals. 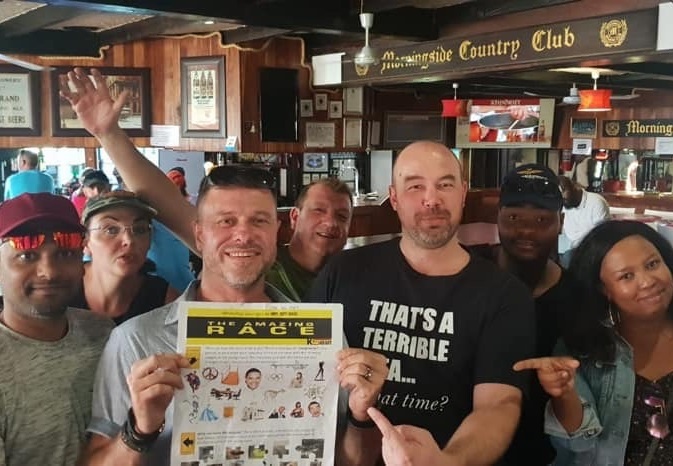 The Sandton MasterChef Potjie Competition, Ladies and Gentlemen I give you one of our most popular team building events in the entire Johannesburg area. The MasterChef Potjie Competition is an extraordinary team building event that will be a talking point among peers in the office. Sometimes the department simply needs a day out of the office to unwind, chat, mingle and get to know each other better. Our Survivor Team Building in Sandton is one of our top 10 team building activities in Johannesburg. The event has low physical requirements, and is fit for all ages. Most popular is the Barefoot Bowling - a hip modernized version of traditional bowling. Team Building quotes are inclusive of arrival coffee, 11h00 refreshments, a Braai Buffet, and all team building activities. Our MasterChef Potjiekos Competitions in Sandton is one of the top team building activities in Johannesburg, fit for all ages, and include Vegetarian, Vegan and Halaal dietary requirements. Only new potjies and utensils are provided for the halaal delegates. Our MasterChef Potjiekos quotations are inclusive of arrival coffee and pastries, 11h00 refreshments, lunch, and all team building activities. Our Escape Room venues in Sandton are ideal for a morning or afternoon team building activity in Johannesburg. It is said that the Escape Room phenomenon derived from Thailand, and today feature in TripAdvisor's Top 10 Attractions for most mayor USA cities. Our Escape Room caters for more than ten people, and is inclusive of arrival coffee and pastries, and a Braai Buffet. Vegetarian, Vegan, and Halaal Meals are included. 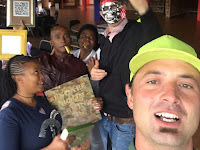 The Amazing Race at Montecasino is one of of Top 3 team building events in Johannesburg. The Amazing Race has low physical requirements, and is fit for all ages. Team building quotes are inclusive of parking, arrival coffee and pastries, 11h00 refreshments, and a Meze Buffet at Mythos. Vegetarian, Vegan, and Halaal Meals are included. The Escape Room is one of our most popular team building events at Montecasino. This is about a three hour team building event, and inclusive of arrival coffee and pastries, and a Meze Platter at Mythos after the event. The winning team break the plates in celebrations and true Greek tradition. The usual escape Room can only accommodate four people at any given time, but our Escape Room Team Building Package can cater from 10 to a 100 people - and everybody is involved. The Potjiekos MasterChef Team Building at the Johannesburg Zoo is an popular team building event in Johannesburg. Team Building quotes include parking inside the zoo, arrival coffee and pastries, 11h00 refreshments, lunch, and all team building activities. Team building quotations are inclusive of Vegetarian, Vegan, and Halaal Meals. The Amazing Race at the Johannesburg is one of our top team building events in Johannesburg. Team building quotes are inclusive of parking inside the zoo, entrance, arrival coffee, 11h00 refreshments, lunch, and all team building activities. Quotes are inclusive of Vegetarian, Vegan, and Halal Meals, but Kosher Meals are an optional extra. The Botanical Garden in Pretoria East is a popular team building venue, and Potjiekos Competition tops the chart. But first, we have a hearty English Breakfast inside the Botanical Garden at the at Milkplum Cafe. The Milkplum Cafe is next to the waterfall inside the Botanical Garden. Bottomless coffee and orange juice are served. This is not a snappy breakfast, and much time is needed for this huge breakfast. 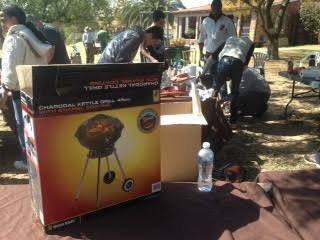 Potjiekos Competitions is a popular team building activity in Centurion, Pretoria. Popular Potjiekos Competitions in Centurion include the Rooihuiskraal Historical Terrain. More Potjiekos Competition venues in Pretoria include the Botanical Garden and the Pretoria Zoo. Potjiekos Competitions is a popular team building event in Pretoria. Popular venues in Pretoria for Potjiekos Competitions include the Pretoria Zoo, Pretoria Botanical Garden, and the Historical Terrain in Centurion. But we can have your Potjiekos Competition at any venue. The Amazing Race at the Pretoria is one of the most popular team building activities in Pretoria. Park inside the zoo at the Waterhole. Team building quotes are inclusive of parking inside the zoo, security guard, arrival coffee and pastries, 11h00 refreshments, lunch, and all team building activities. Our Escape Room is a Treasure & Scavenger Hunt with Riddles & Raffles with low physical requirements that is fit for all ages. Our Escape Room start indoors. Each team get a UV Torch and have to find clues written with invisible ink on windows, mirrors, maps, portraits etc. - one clue leads to another. Then the game moves outdoors, and each team get a tablet with Google Maps and have to trace GPS Transmitters placed in the nearby area. The aim is to find and collect golden coins, and each coin is a puzzle to open a safe – Amazing Beyond! Team Building Pretoria has low physical requirements, and is fit for all ages. Team Building quotes for Pretoria are all inclusive of arrival coffee, 11h00 refreshments, lunch, vegetarian meals, vegan meals, and halaal meals. This is one of the most popular team building activities in Pretoria, on a serious note, if not the most popular team building activity in Pretoria. Amazing Race Pretoria has very low physical requirements, and is fit for all ages. Team Building quotes for Pretoria are all inclusive of arrival coffee, 11h00 refreshments, lunch, vegetarian meals, vegan meals, and halaal meals. The most popular team building activity in Pretoria. This is a Treasure & Scavenger Hunt with Riddles & Raffles. The event has low physical requirements that is fit for all ages. 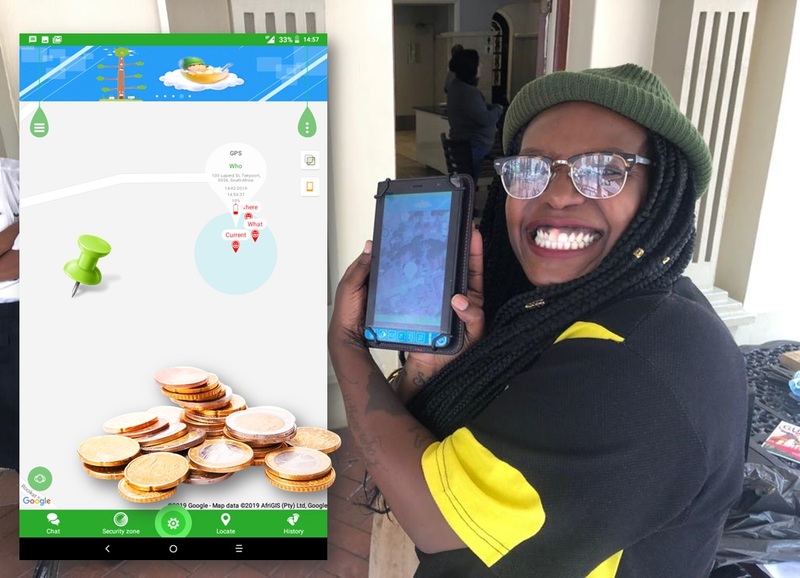 Teams use Tablets with GPS Transmitters to find the Old Coins, solve riddles, invisible ink, UV torches, and finally open an 8 digit safe – Mind Blowing! Pretoria MasterChef Potjie Challenge is an ideal team building event that will be prominent in your office. Ladies and Gentlemen I give you one of our most popular team building events in the entire Johannesburg area. Sometimes the department simply needs a day out of the office to relax, chat, mingle and get to know each other better. Team Building Johannesburg with all-inclusive quotes at Gold Reef City, Montecasino, Johannesburg Zoo, Sandton, and many more. Our Team Building Quotes are inclusive of arrival coffee and pastries, 11h00 refreshments, lunch, and all team building activities. Halal, Vegetarian, and Vegan meals are included, and Kosher meals are an optional extra.